Providing investors with equal access to timely and accurate information about Marel's operations and business environment is the central aim of the company's Investor Relations policy which was approved by Marel’s Board of Directors in October 2013.
of communication, sets the frame for communication with analysts and investors, defines the length and scope of the quit period and provides information about the company's authorized spokespersons. In addition to stock exchange and company announcements, the main channels of communication with investors and analysts are the regular investor meetings that follow the publication of the company's quarterly results, annual general meetings, and other meetings held on an ad-hoc basis. Quarterly investor meetings are webcast and presentations from the meetings are published via the NASDAQ OMX news system. 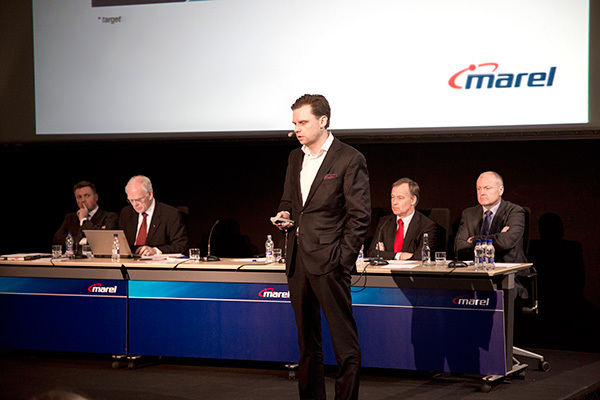 In April 2013, Marel participated in a Capital Markets Day event organized by Arion Bank in Iceland, where the company was presented to investors and analysts. 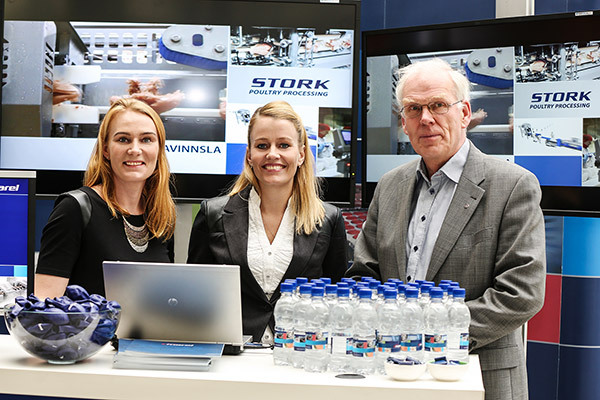 In November 2013, Marel participated in the Icelandic Exchange Day that was held for the first time by the Nasdaq OMX Stock Exchange in Iceland in cooperation with Reykjavik University. The aim of the day was to increase financial literacy and raise public awareness of the stock market and investment possibilities. All price-sensitive information, regulatory announcements about Marel, and announcements regarding performance and future prospects are published in a timely manner, initially on the website of NASDAQ OMX Iceland, and subsequently on Marel's official website. 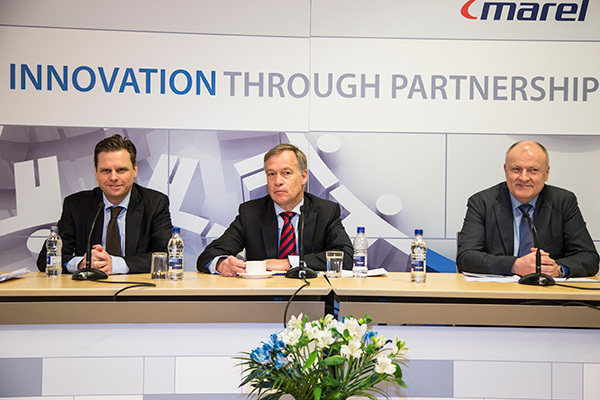 Financial results are issued quarterly in accordance with the requirements of NASDAQ OMX Iceland. Marel's website contains detailed information about the company, its history, operations, and activities. Current and past press releases, presentations, and annual reports are archived in the Investor relations section of the website and available for download, and the company's current and historic share prices are available for review against key indices. For the first time the Annual Report is only available on the web. It can be accessed on desktop computer, tablet or mobile phone through marel.com/annualreport.